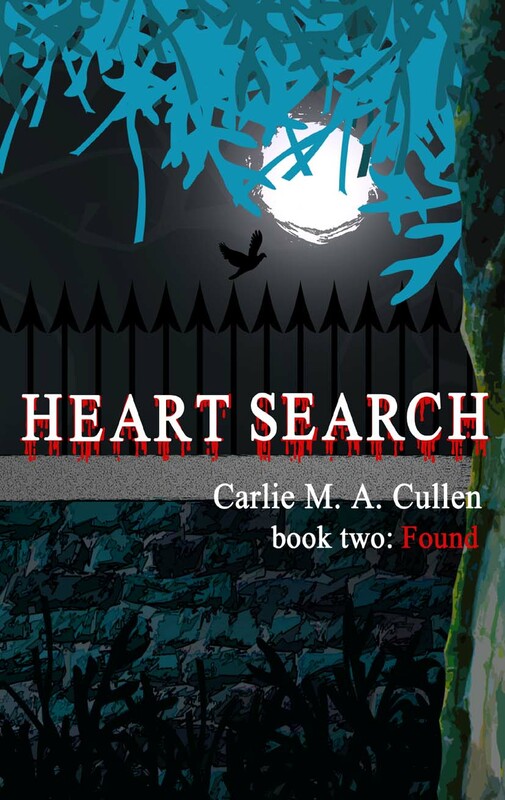 Heart Search: Found – Cover Reveal and More . . . When you see a cover reveal you know the novel isn’t far behind, and I’m excited to say Heart Search: Found is literally just a few days away. 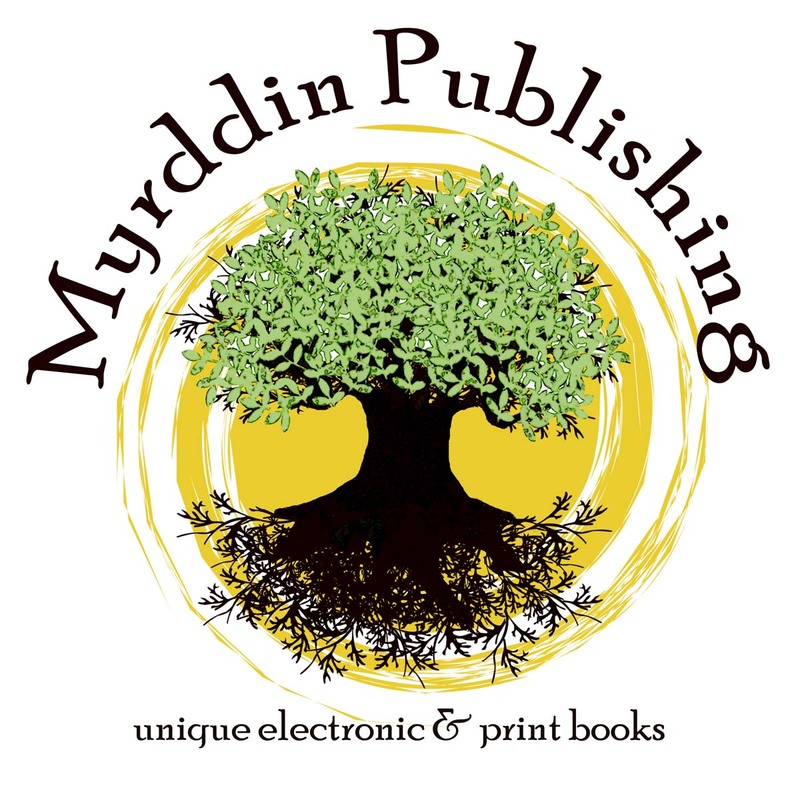 I also have some wonderful friends helping me with the launch and each one of them has something a little different on their blogs, so when you’ve seen everything here, I highly recommend you pop over to see what Donna L Sadd, Joy Keeney, Sherry Fundin, Deborah Jay and Maria V A Johnson, have in store for you. First though, my wonderful cover designer, Nicole Antonia Carro, has worked her magic again and I’m very proud to unveil . . .
Well, earlier in this post I did promise you a very special treat. A world exclusive of the prologue of Heart Search: Found – enjoy! 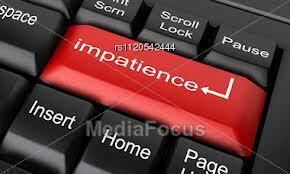 “Jakki sat at the table, a worried expression clouding her features. Her eyes flickered over the tarot cards spread before her, analysing every minute detail, desperately searching for another explanation, a different meaning to the one she saw. I really hope you liked the prologue and it’s left you wanting more. Keep checking back – the book trailer is coming soon and I’ll have more news on the availability of Heart Search, book two: Found. Now go and see what the other blogs have in store for you! 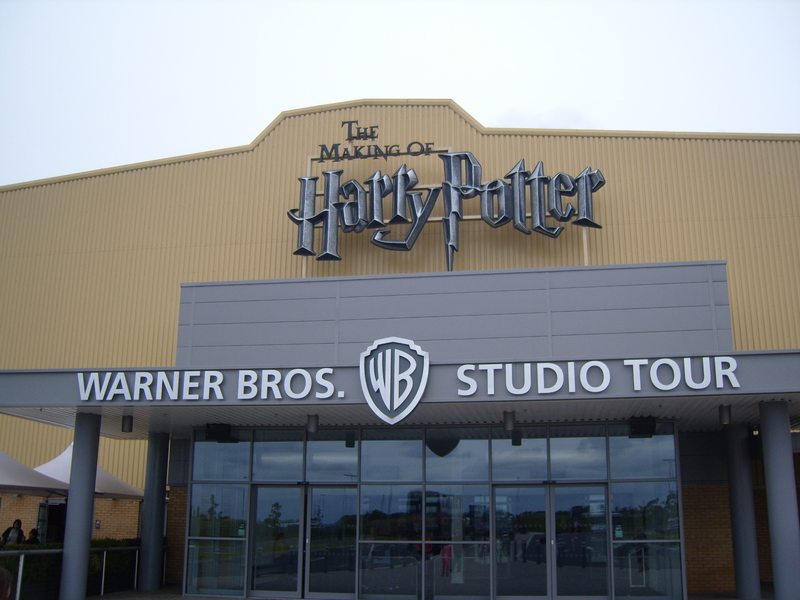 Last weekend, my daughter and I drove to Leavesden, near Watford, to the Warner Brothers Studio for the Harry Potter Studio Tour. My daughter grew up with Harry, Hermione, Ron and Dumbledore and has always been a big fan. She raved about the books so much I ended up having to read them to see what all the fuss was about. Yeah, you’ve guessed it – I got hooked too! So it was with great excitement we set off on Sunday morning for the seventy-five minute drive. Thanks to Sally SatNav (GPS to my friends across the pond), we found the place quite easily and once parked, took a few photos and collected our tickets before entering the enormous building. 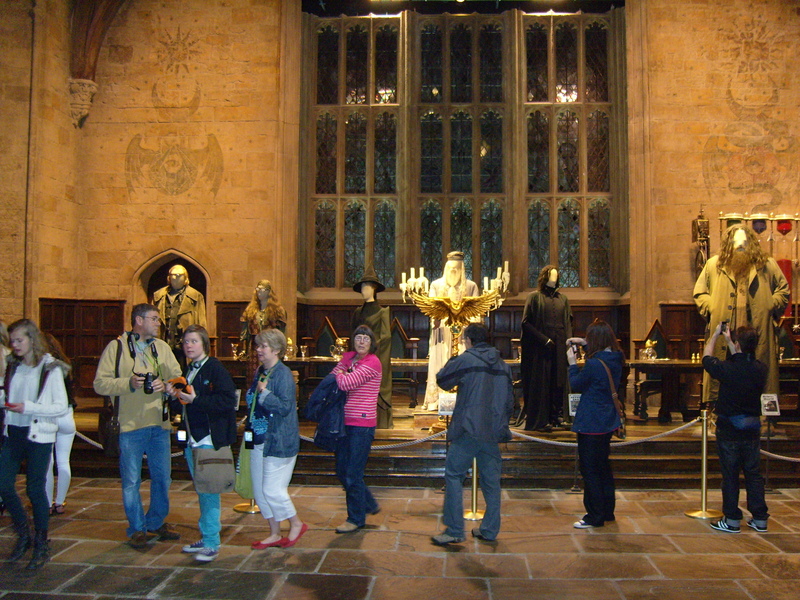 Once through the doors, and after a short cinematic presentation, we wandered through the hallowed doors into the Great Hall. WOW! It’s very large and, apart from the CGI ‘enchanted ceiling’, it was exactly as you see it on the films. From there, we walked into one of the sound stages. 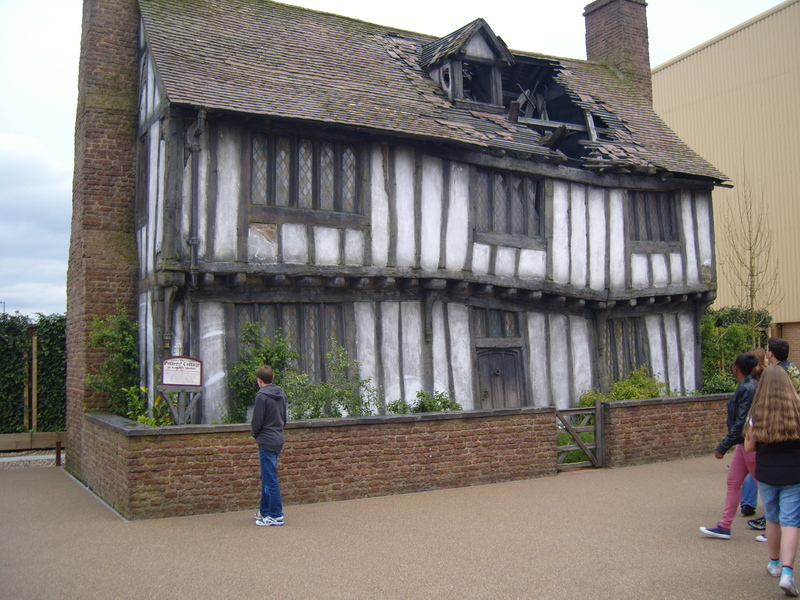 In here were the sets for the Gryffindor Common Room, Harry’s dormitory, the Potions Classroom, Dumbledore’s office, Hagrid’s hut, Umbridge’s pink office, The Burrow (complete with working props like the self-washing frying pan) and the fireplaces from the Ministry of Magic. It was amazing! I was imagining them in the films my daughter and I have watched (and enjoyed) over and over. 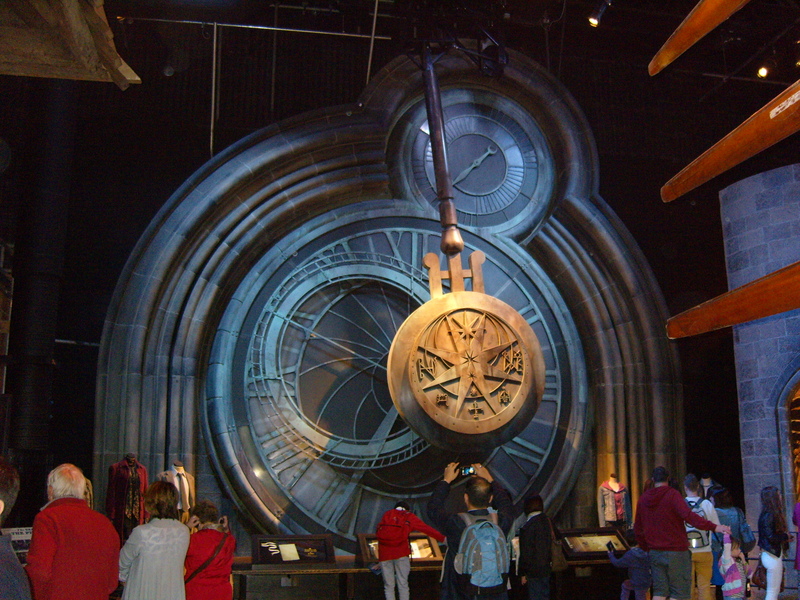 These sets were interspersed with some of the most memorable props from the films: the ice palace from the Yule ball; the door to the Chamber of Secrets; various costumes; the door to vault 713 in Gringotts; the massive pendulum, the Griffin which guarded the stairway to Dumbledore’s office; Hagrid’s motorbike and sidecar; and, of course, the Nimbus 2000 and Firebolt. There were also the two massive statues from the Ministry of Magic. In between all these (and much more I haven’t mentioned), were information cards displaying interesting details about certain aspects of the films. It must have taken us more than two hours to work our way round this first area and I’m not convinced we saw absolutely everything! From there the tour led us onto the ‘Backlot’ where we found the Knight Bus, the Potter’s Cottage from Godrics Hollow, 4 Privet Drive (these last two were almost full size properties build on the Lot – unbelievable), Hogwarts Bridge, the Riddle family gravestone (you might remember it from the Goblet of Fire), but best of all – BUTTERBEER. OMG! If you have a bit of a sweet tooth like I have (and we both blame my father for that particular trait, lol), Butterbeer is a non-alcoholic nectar from the Gods. Both my daughter and I loved it so much, we went back for second helpings! DE-LI-CIOUS! 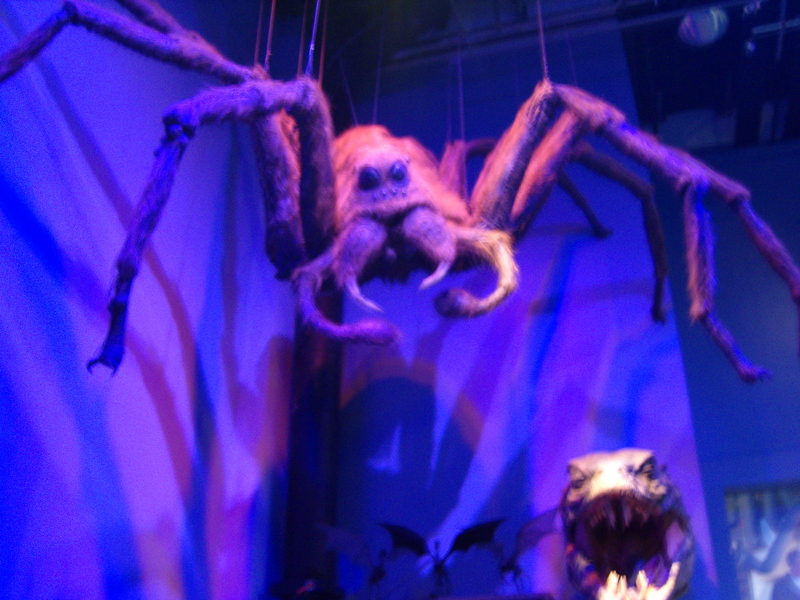 Who’s scared of giant spiders? My daughter!! Suddenly, we were in Diagon Alley. Another ‘WOW’ moment. All the shops and Gringotts bank are real buildings. 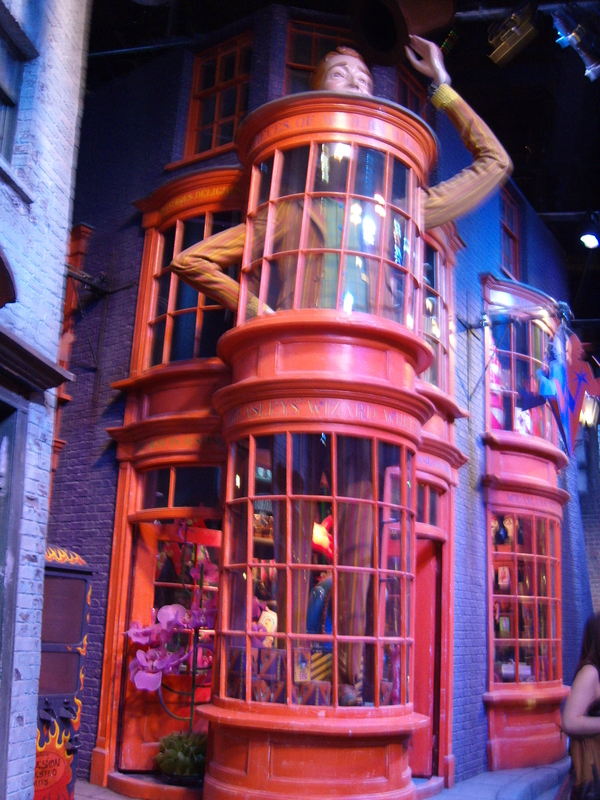 You can actually look through the windows and see the shop’s wares laid out as they are in the films. The only exception was the animals were stuffed. The penultimate section was the work that went into building the sets, from concept drawings and ‘artists’ impressions’ paintings to detailed plans which most architects would be proud to display, and miniature models made from white card of the most widely recognised buildings from the films. Then . . . the pièce de résistance . 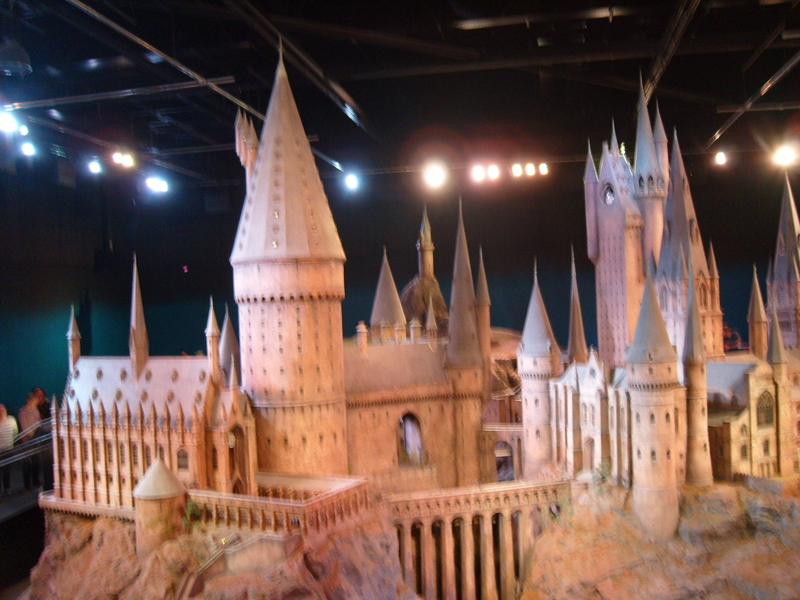 . . we round a corner and there it was – a huge model of Hogwarts. It was the wow-est WOW moment of the entire tour. The way it was lit and the sheer magnitude were breathtaking. You could actually walk around the whole model and see it from different levels. I have to say, it was a fitting end to the tour and putting this magnificent structure anywhere else would not have done it justice. Do I really need to caption this?? 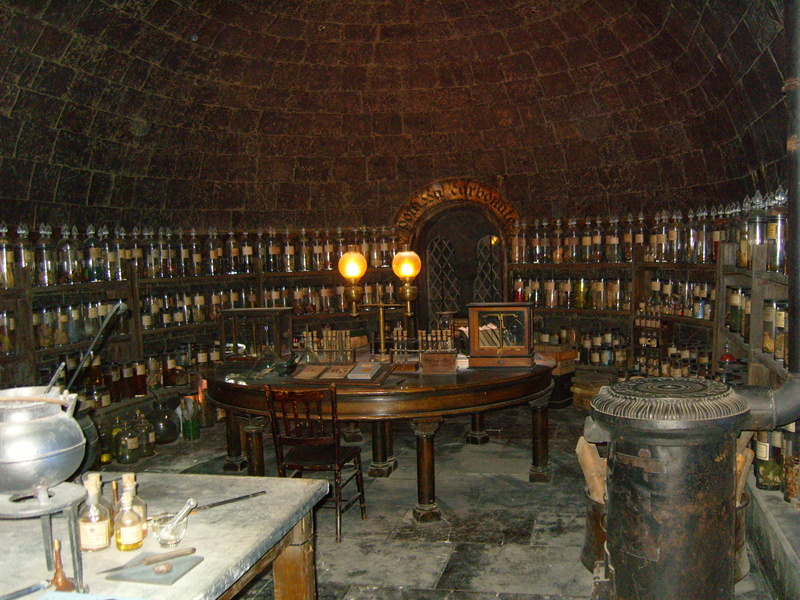 On our way out to the gift shop, we suddenly found ourselves in Ollivanders, where there were literally thousands of wand boxes – each one was labelled with a cast or crew member who had been involved in any one of the eight films. I thought that was a lovely touch. My daughter was overjoyed to see the name of her nephew, who was an Assistant Director on the last two films, on one of the wand boxes and insisted on taking a photograph (even though it was about four foot above her head) and instead of stepping back, she decided to crane her neck and then wondered why it was aching a bit. We spent over six hours there altogether and the time just flew by – we were totally mesmerised by everything we saw. So, was it worth the money and would I go back again? Too right! The gift shop wares were rather over-priced, but apart from that I couldn’t fault it. Now I’m home, I’m filled with even more inspiration than usual and am pouring it all into the final revisions of my second book, Heart Search: Found. With a bit of luck, it’ll be ready by the end of the month. J. K. Rowling may write for a younger audience than me, but she’s no less of an inspiration! Sometimes, naming characters is as easy as breathing. Mostly they jump into my head, fully formed, and their names just pop onto the page without a second thought. However, on occasions, minor players are harder to place. Whilst they have their parts to play, and some of them are quite integral to a certain section of the story, their formation isn’t always quite as complete as I’d like. In Heart Search: Found, I have a character who needs naming so I decided to run an exclusive competition on my Facebook page. To enter, all you have to do is ‘like’ my page and come up with a name to suit the character, whose profile is shown on there. The winner will have the chosen name in my new book. To find out what else you can win, you’ll have to visit the page, but be quick – the competition ends midnight GMT tomorrow! Good luck. Oh, and before I forget, watch out for the cover reveal of the second book in the Heart Search trilogy – coming very soon to a blog near you. I’m also going to be looking for reviewers in the next couple of weeks so if you’re interested in showcasing the cover reveal, the book trailer &/or reviewing the book, please leave me a message below. I’m only looking for a certain number of people, so get your name down fast. Heart Search, book two: Found is nearly here!! Well, I have a double whammy for you today – not one but two reviews! I’d heard some good things about this book and had wanted to read it for a while – I’m pleased to say I wasn’t disappointed. It did take me a few pages to really get into this; the meticulous world building at the beginning read like a bit of an info-dump yet the author managed to keep my interest. Once I read past this, I was engrossed. Emeline is feisty, independent and doesn’t take crap from anyone. She’s also a crack shot with both gun and bow and has a very keen sense of smell. With the exception of her brother, Warwick, all her family are dead, so when he’s murdered in their kitchen her world turns upside down. I loved Emeline’s character. She is very well crafted as a sort of urban warrior who’s in the Australian bush. Her hardened exterior makes her a little aloof from people around her yet it’s understandable with all she’s been through. It was nice to see her vulnerable side emerge as a result of Warwick’s murder and endearing the way she grows to really care about Gwennie (Warwick’s girlfriend). When she sets out to discover why her brother was killed, Emeline has to dig deep in an effort to piece everything together whilst coping with her grief. What she uncovers shakes her foundations, especially when someone she trusts turns out to be the biggest villain of them all. The supporting cast are equally as well drawn. Gwennie grows on you as she becomes Emeline’s companion; she has a gritty determination which blends well with her softer and more caring side. This makes her a perfect sidekick for Emeline. Milosh, the charismatic, caring and handsome leader is not all he seems and as the author’s skilled hand reveals his ‘alter ego’, we see a deliciously cold, power-driven, murderous individual who doesn’t care how many lives are lost (including that of his own brother) as long as he can continue down his chosen path. Besnik (Milosh’s brother) is a little difficult to puzzle out at first – can he be trusted or not? It is a testament to Tsoumbakos’s characterisation that she keeps you guessing as to his true intentions for a while. The plot is well thought out and scarily believable. 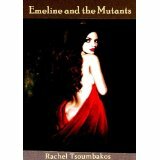 Tsoumbakos portrays the mutants and how they came into being in a plausible manner and the story races along at quite a pace. At the end I had a few unanswered questions, leading me to wonder whether a second book was being considered. However, there was enough closure for this to be a standalone novel and a damn good one at that. One of the things I liked most was the originality; this book is a blend of genres which work really well. My only criticism of this very enjoyable read was the number of mistakes I found which should have been noticed and corrected prior to publication. This didn’t really spoil my reading pleasure, but did lose it one star. Overall, I would definitely recommend this! 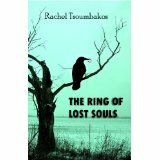 This second novel by Rachel Tsoumbakos is an exciting blend of fantasy, paranormal and suspense. Isobel, the main character, is starting to get her life back together after a painful break-up with her boyfriend and losing her job. She takes up jogging, and what she finds in the grounds of an abandoned mental facility radically changes her life. Isobel has been well-crafted. She’s strong and determined, but also vulnerable and to a degree, a little too trusting – at first. The way she deals with events are totally realistic and readers can share her burgeoning love, fear, distrust and puzzlement as things unfold. This woman could have done with a little more laughter in her life, but it wasn’t the path she was meant to tread, so you never feel that it’s missing from the story. That, to me, is the sign of a good writer. The supporting characters were also well written, especially Lottie. She’s quite mysterious and it’s not until the end you find out who she really is and what’s on her agenda. The setting, Larundel, actually exists. The former mental hospital, as it’s depicted in the book, is a broken down building covered in graffiti, which is slowly being reclaimed by the flora and fauna surrounding it. It’s been plundered for most of its valuable assets and now resembles a bomb site with rubble, abandoned furniture and general rubbish left around to trip up the unwary. As Tsoumbakos takes you through the halls, wards and various rooms, you get a real sense of how it looks. It’s so well depicted you can easily picture it in your mind. I loved the blending of genres in this book and the author builds the suspense in an artful way. Many a night I read into the wee small hours, because I just had to find out what was coming next. The fantasy and paranormal side is believable and put together in an interesting concept – one that I really enjoyed. If there was one thing I didn’t like about this book, it was the number of missing words. However, putting that aside, I wouldn’t hesitate to recommend this – it’s a fantastic read! So there you have it. Rachel Tsoumbakos sure knows how to spin a tale and keep a reader entertained. I can’t wait to see what she comes up with next! If you want to find out more, or better yet get a copy for yourself, click on the titles for links to Amazon.